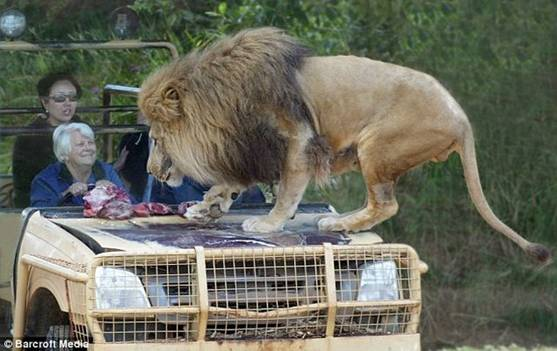 Notice the meat on the hood of the vehicle. 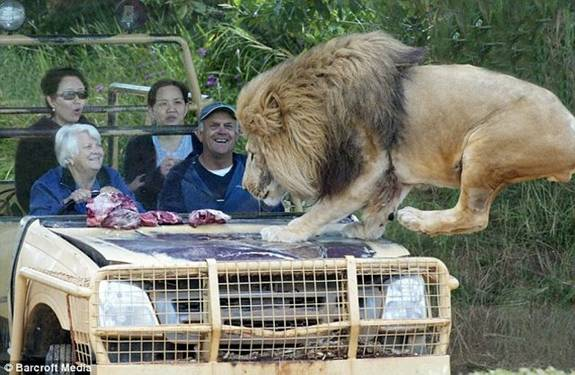 Imagine the rush you get sitting in that seat. 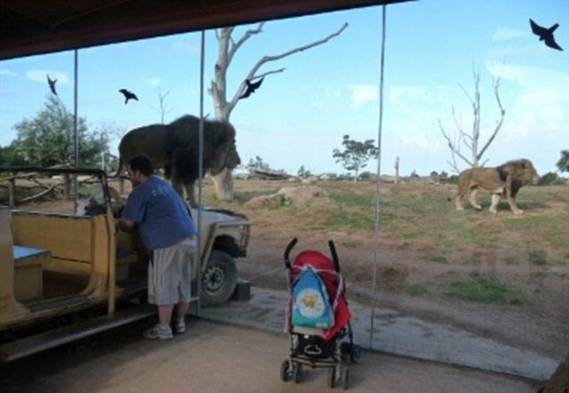 This is the Werribee Open Range Zoo in Victoria, Australia and only the hood of the car is outside the glass cage with the lions. The rest of the car is on the inside. 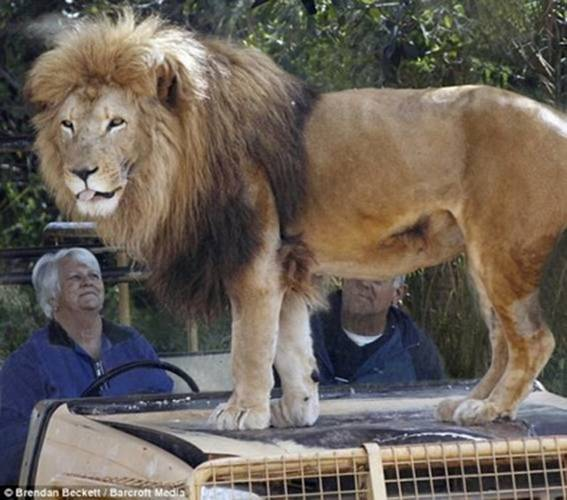 Interesting way of interacting with lions. The seats are cleaned every trip.